Knee high grasses gently waving in the breeze as the sunrise kisses the dew drops suspended from their seeds. Our destination – the purple hills illuminated by the setting moon in the distance still shadowed by the night. Another day on the Mara dawns with expectations of the day’s ride ahead. What will greet us this morning as we set out to ride to our next camp? The trumpet of a bull elephant warning us not to pass? The subtle movement amongst the grass as a cheetah slinks away from our approaching hooves? The flashing black and white stripes of zebra running alongside us through a gentle sloping valley? The curious giraffe standing his ground to gaze down on this odd assortment of grazing beasts? 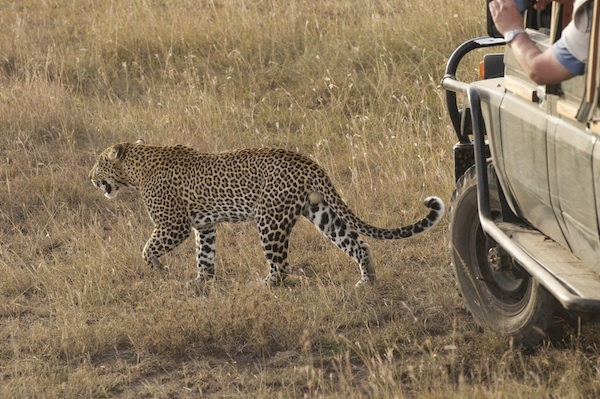 This is but a few of the adventures awaiting us as we ride with Safaris Unlimited across the Masai owned land of Kenya. Day and night comes predictably every 12 hours, as the Mara lies less than 1.5˚ south of the Equator. Rains can occur any time but typically the month of February is dry season. We experienced only a brief shower during our safari, however the lush green grasses indicated rain had recently fallen resulting in zebra forming into the large herds we encountered. Newborns with their manes extending from poll to tail wobbled tentatively next to their mothers as we passed. A lioness with her cubs lounged on the rocks before heading out for an evening hunt. Proud ostrich parents marshaled their 25 strong flock of young across the plains, gobbling down plump morsels in the grass while swifts flew like fighter pilots between the giants as browsing elephants stirred insects into the air. 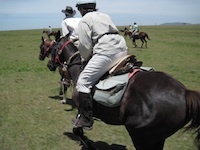 Riding through the Masai Mara is a life-changing experience. Each day is filled with wonder and awe as we cross this vast and varied land, visit a Masai school or interact with our crew, who move our camp 4 times in 8 days. We ride out after a breakfast of eggs, bacon, porridge, and toast with jam coffee, tea and juice. 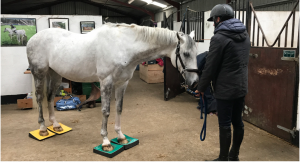 Our mobile canvas tents, mess and supplies for humans and horses are broken down, moved to the next campsite and set up before we arrive to be greeted with grooms ready to care for our horses, cold drinks, hot showers, fine dining and hot water bottles in our beds. We fall asleep under the Southern Cross listening to the sounds of the hyena calling in the distance. This is safari as one envisions the 18th Century colonials experienced. Close to the land, with the comfort of fires and Masai guards to protect the horses during dark hours of the night. We travel over 200km by horseback at a pace that allows us to take in the vastness, beauty and wonder of this magical land. 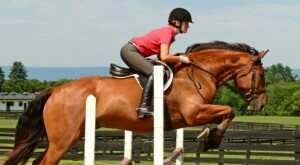 We gallop across the open plains by day and bimble around during evening rides looking for game. By truck with camera in hand, we explore each conservancy capturing lion, leopard, cheetah, hyena, elephant, numerous antelope species and a plethora of birdlife in the lens. These images provide a lifetime of memories. Recounting the day’s adventures around the campfire between those who went by horseback and those who were in the vehicle, each has their own story to tell. I think the best memories cannot be captured by camera or video because these media are holding memories in the past. Living memories are captured in the mind’s eye complete with the image, movement and the emotions of the moment. They are enriched and enhanced as they are recalled, told and retold, each time making the experience richer. Soon it will be a giant cobra raising 3 feet into the air and chasing us across the plains! Now that would be a story! 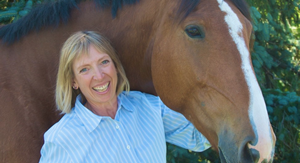 Wendy Murdoch in conjunction with Horsing Around International organizes horseback safaris with Safaris Unlimited, outfitter in Nairobi, Kenya. Her next safari will be during the Great Migration, September 2014. For brochure or more information contact Brad at bschneider06@gmail.com 540-675-2492.